Why would I need self storage in Falls Church, VA? There are a variety of reasons why you might need self-storage in Falls Church, VA.
How much is a storage unit in Falls Church, VA? The cheapest storage unit in Falls Church, VA is $60.00 per month. What size storage units do you have available in Falls Church, VA? In Falls Church, VA we have sizes that range from 5'x5' to 15'x30' to suit your storage needs. How much is it for a 5'x5' storage unit in Falls Church, VA? The cheapest 5'x5' storage unit in Falls Church, VA is $67.00 per month. A quiet city with strong retail corridors and leafy streets, Falls Church is a popular home for families, young couples and singles alike. Located just 10 miles from the nation's capital, it's conveniently connected to Washington, D.C., by highway and transit networks that make commuting easy. The city is best known for its top-ranked schools, urban village feel and large variety of community-focused activities. Before European settlers arrived in the area where Falls Church now stands, it was part of the Iroquois Confederacy territory. After Captain John Smith explored the area, the English began sending over colonists to establish settlements on the land. Europeans first settled this community, built around The Falls Church Episcopal, in the late 17th century. The area witnessed many important people and events of the American Revolution, and The Falls Church Episcopal even hosted a public reading of the Declaration of Independence in 1776. The community became a township in 1875, and Falls Church was incorporated as an independent city in 1948. The largest employers in Falls Church are in the education, government, health care and retail sectors. The city's largest employer is Falls Church City Public Schools, while the city of Falls Church follows close behind. Health care organizations Kaiser Permanente and BG Healthcare Services also employ hundreds of professionals in the area. These industries are good places to start your job search. If you don't find anything to your liking in the city, you can always easily commute to Washington, D.C., to access a much larger job market. Falls Church students attend Falls Church City Public Schools, which includes preschools and elementary, middle and high schools in the area. Though most students live in the city, some who live outside the city limits may also be eligible to attend Falls Church City Public Schools on a tuition basis. Your child can also apply to attend the Fairfax County magnet school, Thomas Jefferson High School for Science and Technology. You'll also find a few parochial schools in the area. Utilities: Major utilities providers in Falls Church include Fairfax Water, Dominion Virginia Power and Washington Gas. Garbage and Recycling: The city facilitates trash, recycling and compost services. Your collection schedule depends on your home's specific location in the city. Transportation: The Washington Metro Transit Authority operates a network of bus and rail routes throughout the area. The city provides transit resources for seniors and disabled citizens. Parking and Permits: Many streets in Falls Church require residential parking permits. There are also a few streets that require drive-through permits. Pets: All dogs older than four months must be licensed and up-to-date on rabies vaccinations. Cats must also be vaccinated. You have 30 days from your move date to complete the licensing process. Moving Day: Requesting a parking space reservation for your moving truck is recommended, because otherwise you may not be able to find an open parking spot near your new home. You can complete the process on the city's website and should apply at least two weeks ahead of time. Neighborhoods in Falls Church offer a balance of quiet residential areas and bustling city streets. If you're seeking easy access to the city's many amenities, as well as to northern Virginia and Washington, look for homes along the main roads – Broad Street and South Washington Street. Prices are fairly high in Falls Church, but that's to be expected in the D.C. metro area. Our lowest priced units in Falls Church, VA average $68.71 per month. 389 people have reserved units in Falls Church, VA in the past 30 days. 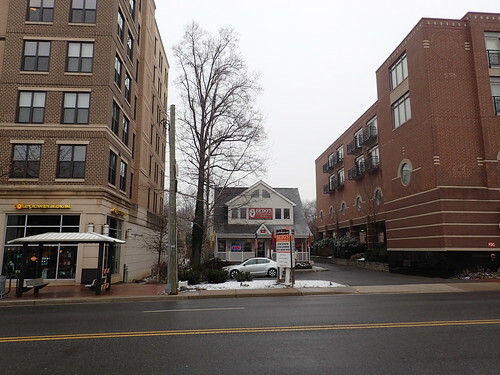 There are 7 locations within Falls Church, VA's city limits. There are 6 locations in Falls Church, VA that offer AC and Heating features.